Domestic violence police officer: What I do. What it's like on the front line of Australia's domestic violence crisis. What’s it like to work on the front line of Australia’s domestic violence crisis? I don’t think many people understand exactly what it is that I do when I say I’m a police officer. 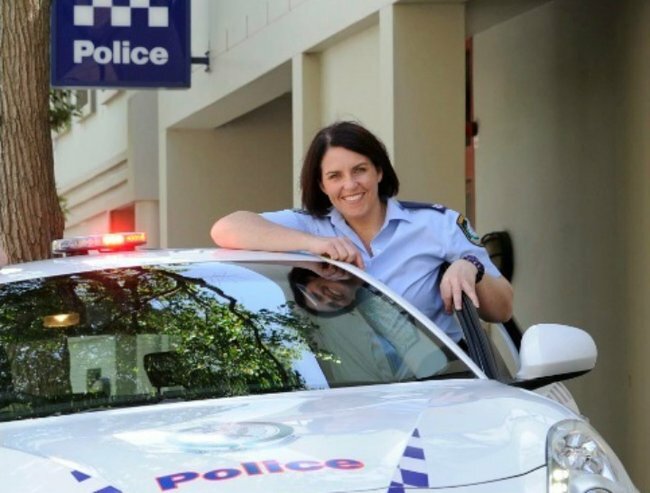 I am one of three Domestic Violence Liaison Officers (DVLO’s) at the Leichhardt Local Area Command, based at Glebe Police Station in Sydney’s inner-west. The DVLO role is the link between police who attend and then investigate incidents of domestic violence and the support for victims at court. I also have to liaise with the alleged offenders and their legal representatives at court. It is the DVLO’s job to monitor, review and provide advice to the responding police on domestic and family violence incidents in the Local Area Command. When the police have attended a domestic violence incident, the DVLO will review their actions to ensure that the appropriate action was taken. The DVLO also has to monitor domestic violence crime trends and legal action rates for domestic and family violence incidents within the Local Area Command, including identifying repeat victims and repeat or high risk offenders. Each week the DVLO attends the court for the mention day for all the domestic violence related charges and Apprehended Violence Orders for our area, working closely with the police prosecutor and providing information and support to victims. We also communicate with the defendant or their representative with the aim of obtaining workable consent orders when required. I do the role full-time, and the others in the office work part time. Leichhardt Local Area Command has a constant flow of domestic violence, without being the busiest LAC in the state. I believe that the volume of work would likely surprise many people. It is a good shift if there is less than six domestic incidents. I joined the police in 2007 and one of the very first urgent jobs I attended was a domestic involving a knife. I think I’d been out of the academy for a week or so. It was a sobering and confronting experience because for the first time, despite my training, I experienced the high level of violence that is a regular occurrence in some people’s lives. I remember speaking to a sergeant I knew as I was applying to join the police and I actually told him at that time that I wanted to be a DVLO. But I didn’t actively seek it after I joined. In 2012 I was put in the role by the crime manager and it may seem macabre to some, but I enjoy it. I think that I wanted to be a DVLO because I’ve been in an abusive relationship myself – I understand the cycle of violence and the power and control of abusive relationships from a personal perspective. Like many women who are victims of domestic violence, it took me a long while to realise that I was even in an abusive relationship, and it took a great deal of strength to disentangle myself from my own personal situation, so I absolutely empathise with the struggles of victims. I can relate to several feelings that many victims encounter, including the shame and embarrassment, and questions like “how can this be happening to me?” But it can be a stressful role and I’m not always good at handling that stress. I sometimes discuss my work with friends and family, but many of them can’t relate, not only because it hasn’t touched their lives, but also because they don’t necessarily understand police practices and law. I probably discuss work more with colleagues, because we can relate to and understand one another. 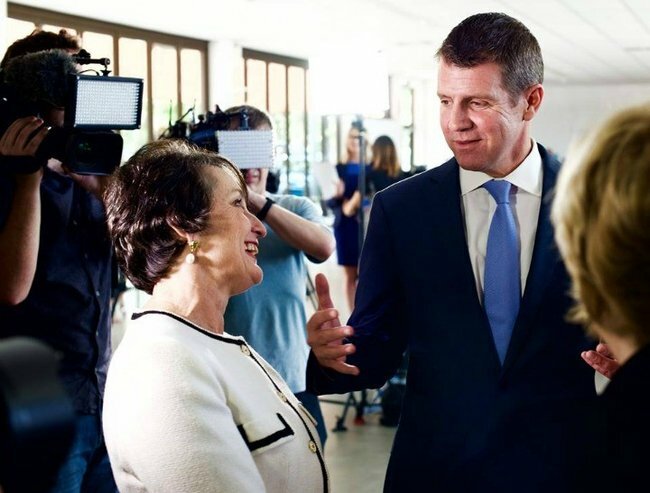 NSW Premier Mike Baird and Minister for the Prevention of Domestic Violence and Sexual Assault Pru Goward at the launch of a domestic violence package in October. Often people will comment “Oh, that must be so hard/distressing”. But honestly I don’t really notice that I find it hard or distressing. One thing that does distress me though is that sometimes you can give a victim the tools, but ultimately you aren’t able to help them, because they are unable or unwilling at that point to break the cycle themselves. In New South Wales the legislation covers a range of domestic relationships between intimate and non-intimate partners. So the work can range from minor verbal arguments between husband and wife or girlfriend and boyfriend and even flatmates and siblings – right up to serious malicious wounding incidents or, in the very worst case scenario, domestic homicide. New legislation introduced in NSW in June has been a positive shift for the prosecution of domestic violence offences. It allows the police to record the victim’s evidence at the time of the complaint being made – for it to then be played in court. This helps police to prosecute offenders as, in many cases, the video will capture the injuries, the emotion, the damage at the scene and other things that previously would be hard to recount later in court. Another change this year was the introduction of the domestic violence safety assessment tool, which is an automatic referral to support services for any domestic incidents. These are sorted into “at threat” and “serious threat” and it’s another really positive step for NSW victims of domestic violence. Domestic violence isn’t all about punching and bruises. It can be emotional trauma, verbal abuse, financial abuse and many more things. It can encompass abusive harassing emails, Facebook messages and rants, and text messages – it can be threats to harm pets or destroy property and it can be things that people don’t conventionally think of as being “domestic violence”. In an abusive relationship it can sometimes be only a short time frame from arguments to assaults to wounding to homicide. I recently attended a course through the police where someone said: “Not every domestic will be a homicide but every domestic has the potential to be a homicide”. I found that a very powerful and profound statement, and it’s something I think about at work every day.